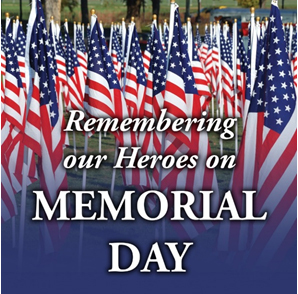 This Monday is Memorial Day – a day to honor the men and women who gave their lives in service to our country. Without their willingness to sacrifice their own lives for the protection of their fellow citizens, our nation and the world, we would not enjoy the freedoms we do today. Pennsylvanians would not have to purchase identification that complies with the federal REAL ID Act under legislation on its way to the governor’s desk. Under Senate Bill 133, residents would be able to choose between a REAL ID or a standard driver’s license or photo ID. Residents who choose the standard form of identification would have to have a passport or other REAL ID-compliant identification to board an airplane or enter a federal building once the new system is in place. It is not yet clear how long it will take to fully implement REAL ID in Pennsylvania, so the Commonwealth will be requesting an extension from the federal government. Assuming the extension is granted, Pennsylvanians will be able to continue using their current form of state-issued identification to board airplanes or enter federal buildings until the new system is in place. Offering residents a choice allows Pennsylvania to comply with the requirements of federal law while also avoiding unnecessary burdens on taxpayers who would face higher costs for the new form of identification. Gov. Tom Wolf has indicated he will sign the bill. A new law will help ensure the health and safety of students who suffer from severe allergic reactions. Act 2 of 2017 provides civil immunity to school bus drivers and crossing guards who administer an epinephrine auto-injector, or epi-pen, to a student who experiences an allergic reaction. Under the law, a bus driver or crossing guard must first complete a training program developed by the state Department of Health and comply with school district policy to be qualified to use the epi-pen. It does not mandate that school districts or school bus companies enact an epi-pen policy, only that such a policy would allow for civil immunity if the guidelines are met. The new law will take effect before the beginning of the 2017-18 school year. 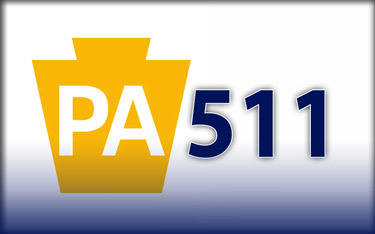 Travelers can log onto www.511PA.com to check current traffic impacts from construction, traffic delay warnings, weather forecasts, traffic speed information and access to more than 770 traffic cameras. The service is free and available 24 hours a day. Travelers are always reminded to buckle up, put their phones away and stay sober when behind the wheel. In other PennDOT news, driver license and photo centers will be closed Saturday, May 27, through Monday, May 29, for the holiday. Customers may still obtain a variety of driver and vehicle products and services online through PennDOT’s Driver and Vehicle Services website, www.dmv.pa.gov. While most weeds that grow in our lawns and gardens are nothing more than a nuisance, there are several types of weeds that can be deadly. Noxious weeds pose as deceptively attractive plants, but they can do immense harm. They can overtake ecosystems, choking out native plants and animals, clogging waterways and filtration systems, and irritating or poisoning anyone who touches them. The following plant species are listed as noxious in the Commonwealth: Jimsonweed, Mile-a-Minute, Shattercane, Musk or Nodding Thistle, Bull or Spear Thistle, Canada Thistle, Goatsrue, Giant Hogweed, Purple Loosestrife, Kudzu-vine, Multiflora Rose and Johnsongrass. To learn more about these hamful plant species, follow the PA Department of Agriculture on Facebook or Twitter.